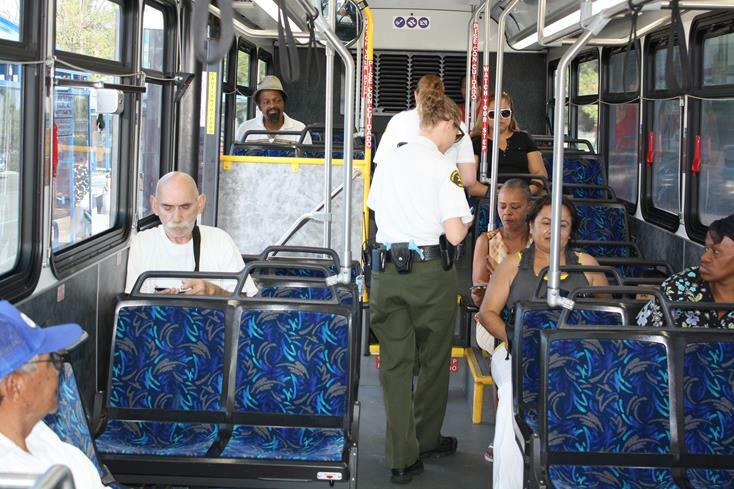 Lancaster –A series of crime prevention successes has convinced the Antelope Valley Transit Authority to increase its saturation patrols from twice a month to a weekly effort, AVTA officials announced Monday. The days and times will vary in order to provide maximum effectiveness, officials said. 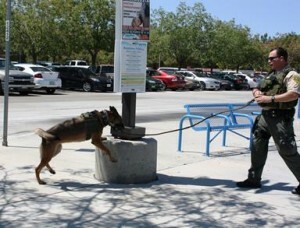 AVTA is monitored regularly by a full time Sheriff’s Canine Unit. AVTA is monitored regularly by a full time Sheriff’s Canine Unit, but now each week two additional security officers patrol buses, transfer centers, and bus stops where loitering can be a problem. The added law enforcement has helped to nearly eliminate high school truants onboard AVTA buses during school hours, officials said. Vagrants drinking alcohol at bus stops has also diminished significantly as security officers are successfully targeting problem areas. “We are proud to say AVTA buses are extremely safe. A strong security presence is the key to criminal deterrence,” stated Executive Director Julie Austin. The increased focus on security began back in April in as part of a multi-pronged effort to reduce fare evasion among AVTA’s ridership. Fare evasion is now on the decline, and a recent study of the problem indicates less than one percent of riders are avoiding fare payment. AVTA decided to increase its security presence when high schools resumed class in mid-August 2013. Their intent was to send a message to students that AVTA would not provide rides to truants. AVTA serves a population of nearly 500,000 residents in the cities of Lancaster and Palmdale as well as the unincorporated portions of northern Los Angeles County. Its total service area covers 1,200 square miles and it is bounded by the Kern County line to the north, the San Bernardino County line to the east, the Angeles National Forest to the south, and Interstate 5 to the West. 3 comments for "Increased security for AVTA"